When contemplating the rapid spread of Christianity, thought often turns to the brilliance of Paul. How else can one account for the meteoric rise of what was initial a local Jewish cult, to the level of a pan-Hellenic spiritual force, if not for that particular conceptual brilliance found in his letters to the early churches? Part of this attribution is making much of what evidence we do have, in absence of other facts, in that the nature of early Christianity remains a mystery. Be that as it may, I would like to participate in this notion that there is something in Pauline writings, the unique way that he was able to handle the pre-conceptions and spiritual needs of a historically diverse audience, as he sought to apply a theology abstracted from the life and teachings of Jesus. In particular, I am taking up his use of a term, the stoicheia, whose translation has received much debate (α), in order to expose the very dextrous nature of his argumentative strategy, the condensed and conceptual subsumption that helped him translate a cult of Judaism into a universally applicable, yet historically defined, message. My focus is found in the image of slavery that opens the fourth chapter of Paul’s letter to the Galatians, (4:1-9) (β). Here Paul forms a powerful rhetorical condensation, one which expresses the status of those that were “under the law” hupo nomon (4:5). The occasion of his writing is that some of the church are being tempted to undergo circumcision in Paul’s absence (6:12), and Paul is arguing that in Christ no longer are followers subject to the dictates of the Torah. But something more complex is happening here. The nomos is not just the law, be it civic or religious, but the word also means “custom,” the way of doing things. Here he compares the past way of doing things to the status one has as a child, and an heir of an estate (4:1). 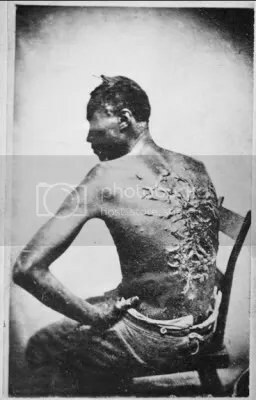 Though in law an heir, one is also under the authority of “guardians and trustees” (epitropous, oikonomos), a status no different from that of slavery itself (4:1), a slave of slaves. Honing his image, he then tells the Galatians what we were slaves to from the start, the stoicheia of the universe (tou kosmou, 4:3). In seeking to circumcise themselves the people of Galatia risk falling back into a childhood imprisonment to the stoicheia which act as guardians and housekeepers. But what are, or who are the stoicheia of Galatia? Around this term there has been controversy. For instance Eduard Schweizer has argued against the Revised Standard Version translation of the phrase, “elemental spirits of the universe,” by examining the way that the term had been used throughout Greek and Roman philosophy, from Empedocles to Plutarch to Philo (γ). At most it is to mean the elements of the natural world (for instance fire, water, earth and air), and as such the stoicheia are only powers “feared but not worshipped,” quite distinct from a “group of demons” or spirits governing the world through agency (46eight). In contrast to this sense of natural powers, Clinton Arnold points out that the term stoicheia had a very specific meaning in magical and astrological texts of the era (δ). He cites the Greek Magical Papyrii (PGM IV .40-41) where the term stoicheia are the demons that rule every ten degrees of the zodiac, called “astral decans,” and to which a letter of the alphabet was assigned (57-5eight). This technical meaning of the term was widespread in occult texts of the Roman empire, and is even found in the magical Jewish Testament of Solomon as referring to the same “36 decans also called ‘demons'” (p. fifty-eight) (ε). The question naturally arises: Is “being under law” simply being subject to the forces of the world, the material elements which threaten and batter our lives, or is it being subject to a hierarchy of demons which “by nature are not gods” (4:8)? I suggest that to attempt to answer this kind of question with some finality is precisely to lose out on the brilliance of Paul’s rhetorical, and also conceptual, strategy. In order to unpack the image of childhood and slavery before the law, one has to consider to whom Paul is writing, and the religious milieu into which Christianity has entered to compete. For instance it is tempting to assume that because Paul is writing about circumcision, and warding off of the implementation of Jewish Law, when he speaks of the Law, he is speaking solely of the Torah and its traditions. But in Galatia the dominant cult tradition for nearly the past millennium was the worship of Agdistis (or Roman Cybele), the Great Mother Goddess. Indeed, at the time of the writing of his letter, the cult of Cybele had long spread from Asia Minor, across the Roman Empire, been Hellenized, and had swept back into the region in a wave of re-insemination, as attested to by the excavations at Gordion (see Roller) (ζ). Indeed, if there were a single Hellenic and Asia-minor cult, it was the cult of the Great Goddess Mother, and Galatia at the time of Paul was a historical center; as Susan Elliott writes, “the ‘region of Phygia and Galatia” (Acts 16:6, 18:33) was dense with local expressions of the Mother of the Gods. The list of places in Phygia that show evidence of devotion to the Mother of the Gods basically covers the map” (673) (η). No reference to the law, custom and powers would not include at least a connotative reference to this proliferate deity. 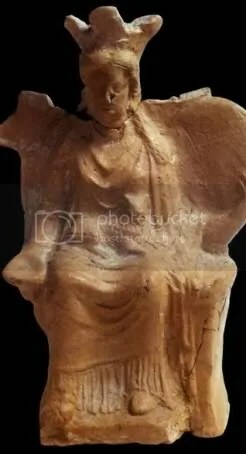 Given this ubiquity, one should hold as relevant that the Mother of the Gods was, throughout the Hellenic world, strongly associated with the keeping of civic authority, at times literally holding that authority and documentation within her temple. As we can see, while the immediate topic of Paul’s is circumcision and a “return” to Jewish law, the rhetorical condensation of images is that of falling under the rites and powers of the Goddess Mother, wherein circumcision becomes conflated with castration and feminization; telling then is Paul’s rather un-Christian sounding curse, “As for those agitators, I wish they would go the whole way and emasculate themselves!” (5:12). The return to the nomos of a Jewish revival, among gentiles, becomes for Paul a falling back into the entirety of a previous Aeon, one in which civic authority, the ubiquity of Roman Law, and the castrating figure of the Great Female Goddess, a world ruled by elements of nature, and yes, even a hierarchy of astrological demons, the stoicheia, all collide into a rhetoric of very precise offices and states, which are nonetheless cosmological. 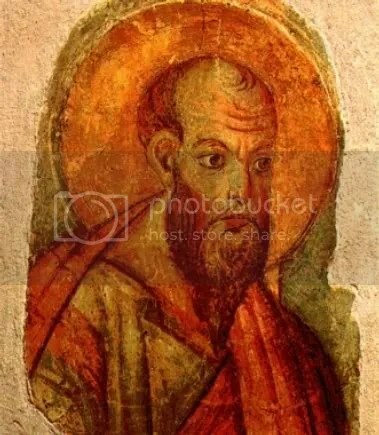 To the consternation to scholars it is not that Paul is vague in reference when he fashions the status “born under a woman, born under the law” (4:4) or the image “in slavery under the stoicheia of the universe” (4:3). Rather, he condenses in these phrases all of their exact and historical manifestations: thus, in image the nomos is both laws kept as records in goddess temples, and customs given by the Torah. He so concludes his reproach of stoicheia by calling them “weak and miserable” asthēne and ptōcha “beggarly” (4:9) (θ), because they are to be seen in their specificity, but as powers to be reckoned with. Paul’s final appeal is not ontological-that is, the stoicheia do exist, as would be obvious to his audience-but in terms of authority and historical change itself. Christ, in the end is a much better Lord to be the slave of (1:10), for he has the greatest power, having been born of a woman and the law, but having overcome them. I argue that in the example of the stoicheia of Galatians, in its multiplicty of reference, we come in contact with two things. The first is that the minds of antiquity likely did not categorize things of fact in the same way that we as moderns do. 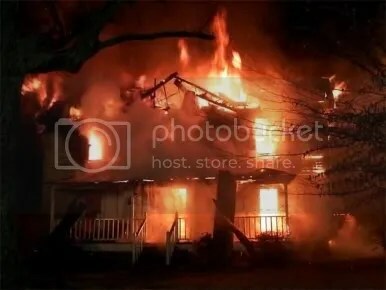 The stoicheia of the universe could at the same time be simply the elements of nature, a fire that breaks out in the house, the crashing of waves on the sea that dash a ship, but also could be the influence of a demonic force, or even the agency of a decan of a specific astrological degree. These are not best seen as competing theories, one of which Paul might have had in mind. In the same way, the nomos is many things, none of which excludes the others. At times it is the Roman authority as much as it is the occult practices of a covenant made between a far-away people, and God. Paul was able, through his rhetorical brilliance, not only fashioned a theology which in its broadest conceptual terms, inspired diverse people, but also was able to speak in very concentrated tropes and images which subsumed a great variety of social facts, many of which would have had specific influence on the daily lives of converted believers. It is in this remarkable skill that some of Christianity’s capacity to convince resided. α. The most natural English of the word is perhaps simply “element” as it applies fundamentally to parts put in a row, or an order, applying to sounds of speech, letters, components of matter, hours of the sundial, stars, principles of geometry, coins, to name a few. A Greek-English Lexicon. Compiled by Henry George Liddell and Robert Scott., New (ninth) ed., henceforth, LSJ. β. What I am saying is that as long as the heir is a child, he is no different from a slave, although he owns the whole estate. 2 He is subject to guardians and trustees until the time set by his father. 3 So also, when we were children, we were in slavery under the basic principles [stoicheia] of the world. 4 But when the time had fully come, God sent his Son, born of a woman, born under law, 5 to redeem those under law, that we might receive the full rights of sons. 6 Because you are sons, God sent the Spirit of his Son into our hearts, the Spirit who calls out, “Abba, Father.” 7 So you are no longer a slave, but a son; and since you are a son, God has made you also an heir. 8 Formerly, when you did not know God, you were slaves to those who by nature are not gods. 9 But now that you know God-or rather are known by God-how is it that you are turning back to those weak and miserable principles [stoicheia]? Do you wish to be enslaved by them all over again? (all cited, all Greek text and biblical translations are from New International Version, found in The Interlinear NASB-NIV Parallel New Testament In Greek and English, ed. A. Marshall Zondervan Publishing House, 1993). γ. Eduard Schweizer, “Slaves of the Elements and Worshippers of Angels: Gal 4:3 and Col. 2:8, 18, 20,” Journal of Biblical Literature, Vol. 107, No. 3. (Sep., 1988), pp. 455-468.
δ. Clinton E. Arnold, “Returning to the Domain of the Powers: “Stoicheia” as Evil Spirits in Galatians 4:3,9,” Novum Testamentum, Vol. 38, Fasc. 1. (Jan., 1996), pp. 55-76.
ε. Such evidence helps Clinton conclude that the stoicheia are best understood as deceiving evil demons commensurate with the “principalities and powers” of Ephesians 6:12 (75). ζ. Lynn E. Roller, “The Great Mother at Gordion: The Hellenization of an Anatolian Cult,” The Journal of Hellenic Studies, Vol. 111. (1991), pp. 128-143.
η. Susan M. Elliott, “Choose Your Mother, Choose Your Master: Galatians 4:21-5:1 in the Shadow of the Anatolian Mother of the Gods,” Journal of Biblical Literature, Vol. 118, No. 4. (Winter, 1999), pp. 661-683.
θ. The term literally means something like a “cringer” as in one who bends. LSJ: “II. as Adj., beggarly, “ptwxw=| diai/t$” S.OC751; “p. stoixei=a” Ep.Gal.4.9: c. gen., beggared of, poor in, [“phgh\? p. numfw=n” AP9.258 (Antiphan.)”. Arnold, Clinton E. “Returning to the Domain of the Powers: “Stoicheia” as Evil Spirits in Galatians 4:3,9.” Novum Testamentum, Vol. 38, Fasc. 1. (Jan., 1996), pp. 55-76. Elliott, Susan M. “Choose Your Mother, Choose Your Master: Galatians 4:21-5:1 in the Shadow of the Anatolian Mother of the Gods.” Journal of Biblical Literature, Vol. 118, No. 4. (Winter, 1999), pp. 661-683. The Interlinear NASB-NIV Parallel New Testament In Greek and English. Translated and edited by A. Marshall. Michigan: Zondervan Publishing House, 1993. Roller, Lynn E. “The Great Mother at Gordion: The Hellenization of an Anatolian Cult.” The Journal of Hellenic Studies, Vol. 111. (1991), pp. 128-143. Schweizer, Eduard. “Slaves of the Elements and Worshippers of Angels: Gal 4:3 and Col. 2:8, 18, 20.” Journal of Biblical Literature, Vol. 107, No. 3. (Sep., 1988), pp. 455-468.